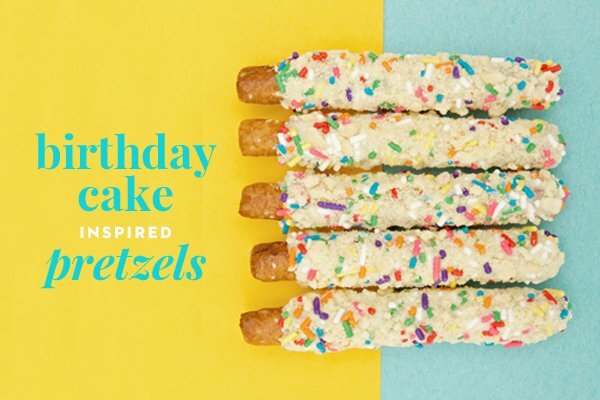 Birthday Cake Pretzel Rods are the perfect way to add a little sweetness to anyone's birthday! Celebrate! 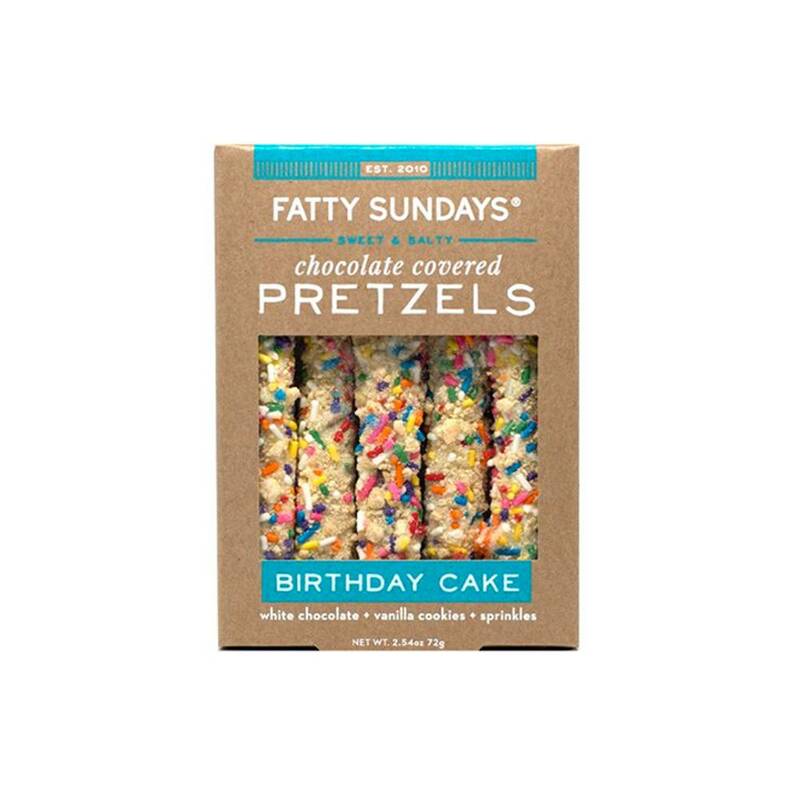 Fatty Sundays Birthday Cake pretzels. Coated in creamy white chocolate and doused with vanilla cookie crumble goodness - they take you back to childhood birthday sweetness! Rainbow sprinkles add another layer of texture and throw some color to the mix, making these pretzels both delicious and joyous.